Pause the formation of wrinkles, unfurrow your brow and eliminate crow's feet with quick, safe and effective Botox injections at our friendly Glasgow West End Clinic. A non-invasive clinical procedure, Botox is used to treat fine lines and wrinkles around the eyes and forehead. It takes three to seven days from when the product is first administered for the full transformation to take place, at which point you'll see deep wrinkles diminished and finer lines smoothed by the Botox injections. Glasgow West End is the perfect base from which to take advantage of this popular procedure, and as one of the largest shopping venues in Europe, it's a great destination for a rejuvenating getaway. All consultations and check-ups are free at Cloud Nine Clinic. Check-up appointments can be made for up to three weeks after treatment, after which time they will no longer be available. If a client requires treatment over our recommended dosage an extra £30 fee will be incurred. The gallery below shows some of the ways in which Botox has delivered beautiful results for our patients. Please slide the handle on the image below to highlight the changes and the benefits of choosing Botox. Does it hurt receiving Botox Injections? Because the needle is so fine and such small substance quantities are used, the pain is minimal. No sedation or local anaesthesia is required. You may experience some itching over the treated area immediately after treatment. Our Dermal Fillers and Botox work in different ways to smooth and rejuvenate your skin. Our Dermal Fillers mimic the hydrating and lifting effect of your skin's natural HA, which keeps the skin hydrated and elastic. They fill in and smooth away facial lines and acne scars, other skin contour deficiencies, and lost volume. The most appropriate lines to treat with our dermal fillers are those that are described as static this means the deep facial lines you can see when your face is still. Static lines are due to lack of elasticity of the skin caused by sun damage, smoking, and genetics. Botox works in a targeted way to relax the tiny muscles that cause glabellar lines, crows feet and forehead lines - smoothing out wrinkles for around four months. Botox treatments may be used to address dynamic wrinkles those that are caused by movements of facial muscles due to expressions such as smiling and frowning. Who can benefit from receiving Botox treatment? Botox is perfect for those who have worries about forehead lines, frown lines or crows feet. The treatment still allows expressions to show on the face which is why many patients feel they do not have to tell anyone that they are having any treatment. Many people choose to have Botox to look bright, revitalised and younger. It is always a good idea to prevent wrinkles rather than having to deal with them as and when they appear and this is where the treatment is so effective. Botox can be combined with Dermal Fillers to rejuvenate the whole face. Botox is usually used on the upper third of the face, to tackle frown lines, forehead creases and crows' feet around the eyes. Lines around the lips and corners of the mouth are also treatable. The treatment is injected directly into the wrinkles with a tiny needle which results in temporarily relaxing the facial muscles and preventing the formation of wrinkles, whilst existing lines are softened. Botox injections usually take no longer than 10 to 15 minutes. The time for treatment is ultimately dependent on how many areas are being treated. Results following treatment will take from 4-10 days to become visible. The results will last between 2-4 months depending on lifestyle factors and how your muscles react to the effects of the Botox. There is no recovery period after Botox treatment. You can leave the clinic straight away, without anyone noticing you have had anything done. Are there any side effects from Botox treatment? Side effects from Botox treatments are rare - indeed it is one of the safest cosmetic procedures available. However, there is the possibility of inadequate injection technique resulting in the treatment being injected or dispersed by massaging the area, this can cause a temporary weakness and is why it's so important to have your treatment at a clinic which adheres to National Care Standards. These issues can be discussed at your free consultation. Our wealth of past experience ensures there is minimal risk involved. Who should not have Botox treatment? If you have any diseases, involving nerve damage or muscle weakness, botox treatments are not recommended. It is also important to let your doctor know if there is a family history of such diseases - for example Myasthenia Gravis or if you have previously suffered from Bell's Palsy. 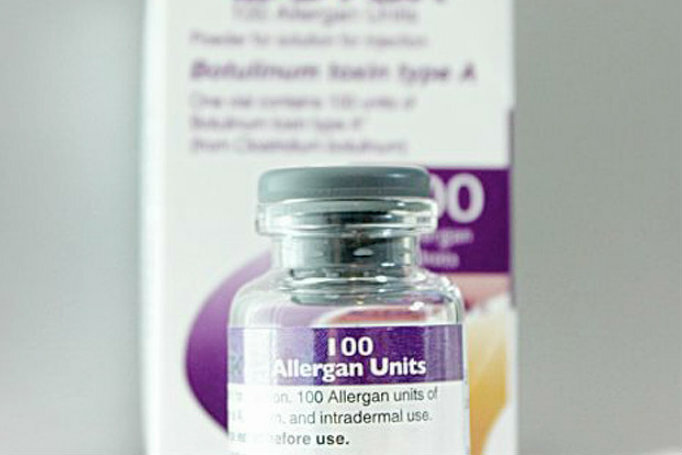 Patients who are currently being treated with amino glycoside antibiotics or spectinomycin should wait until they have completed their course of treatment, and anyone who has had an allergic reaction to human albumin should not have Botox treatments. You will probably not need to have another treatment for around 3-4 months. Following repeated treatments, the effects tend to last for a longer period of time. Your medical professional will discuss with you the results which you can expect to see and advise repeat treatments that will be suitable for you. If your original lines are not too deep, you should notice a significant reduction in the depth and length of your original lines treated after one year, as the skin has a chance to regenerate without constantly being creased by the underlying muscles. Can I combine Botox with other treatments? Botox works well when combined with Dermal Fillers. For more information look around the site or click here to see some information about some of the Dermal Fillers that we use here at Cloud Nine. How much do Botox treatment cost? Botox treatment costs from £100. At Cloud Nine there are regular special offers, introductory prices and treatment combination packages. If you are interested in any of these offers call us on 0141 433 0841 for more information or navigate to the appropriate part of our web site. How do I arrange to have Botox treatment? The first thing to do is arrange a free consultation, this can be done on the website or by calling us on 0141 433 0841. At this stage you can ask any questions you may have and we can assess your needs. Once we understand your requirements we will offer you our professional and honest opinion on which treatments you may require and, if you agree, arrange an appointment for treatment. I have been a regular client at Cloud Nine for three years and refuse to go elsewhere. The staff never try to push any extra treatments, a selling tactic that I find irritating and distasteful from other clinics I have visited. Dr Carrick has worked in the clinic throughout my visits and I value the continuity and reliability. We always err on the side of caution with my Botox injections as I have found my brows to feel heavy after a previous Botox treatment and if there has been any movement after the "taking-up" period a free top-up is available, I have needed this on one occasion. Overall the service is fabulous and I would highly recommend the clinic.